It's great when you feel like your work is being appreciated. 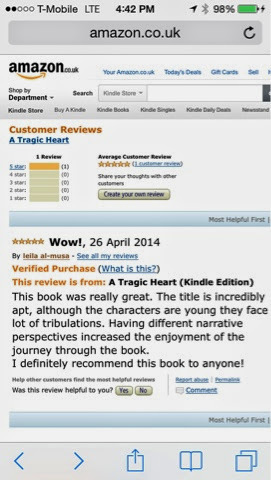 Big thanks to everyone who purchased or read A Tragic Heart. 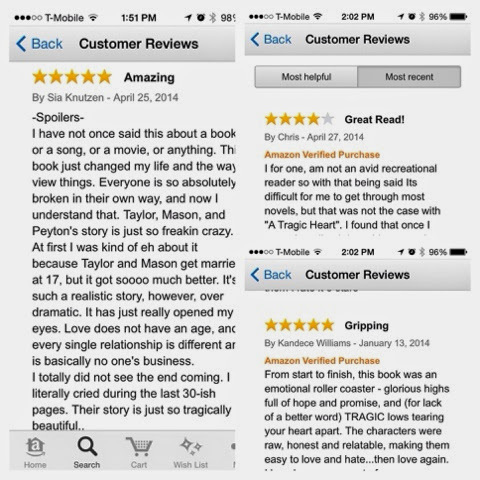 I'm grateful for all of the positive reviews and feedback. I'm hoping to give you all the same enjoyment with RED. I've shared some of the reviews below (I even got my first international review from the UK).